When a tooth is extracted, an empty socket is left behind in the alveolar ridge bone. This socket will usually heal on its own; however, sometimes the bone surrounding the socket breaks and cannot heal. In these cases, the socket will continue to deteriorate. A ridge augmentation can be performed to rebuild the missing bone and recreate the natural contour of the gums and jaw that have been lost due to an extraction or any other reason. This procedure is sometimes necessary for the placement of an implant as a successful implant requires bone to support its structure. A ridge augmentation involves placing bone graft material in the tooth socket. This can be done immediately after the extraction to avoid the need for a second procedure later. Gum tissue will be placed over the socket and secured with sutures. 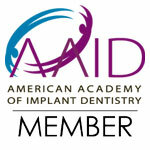 Once the socket has healed, the area can be prepared for dental implant placement. Dr. Dalla at Ora Dentistry is experienced with all aspects of dental implant placement and preparation. For more information, contact us today for an appointment.